Dr. Stephen V. Stehman, a faculty member at the SUNY College of Environmental Science and Forestry (ESF), was named Distinguished Teaching Professor by the SUNY Board of Trustees. The Distinguished Teaching Professorship recognizes and honors mastery of teaching. Candidates must have demonstrated consistently superior mastery of teaching, outstanding service to students, and commitment to their ongoing intellectual growth, scholarship and professional growth, and adherence to rigorous academic standards and requirements. Also, a faculty member must have attained and held the rank of full professor for five years, have completed at least three years of full-time teaching on the nominating campus, 10 years of full-time teaching in SUNY, and have regularly carried a full-time teaching load as defined by the campus. Stehman, professor of biometrics in the Department of Forest and Natural Resources Management, was nominated for his demonstrated commitment and skills in the art of teaching. "The Distinguished Teaching Professorship is SUNY's highest recognition for excellence in instruction," said Dr. Bruce Bongarten, provost and vice president for academic affairs. "It is also an award that is conferred on the recommendation of faculty peers as both the nomination and selection processes are accomplished through faculty committees." In announcing the award, SUNY noted Stehman "exemplifies what SUNY desires in a professor: outstanding researcher, willingness to give generous and exceptional service to the College, and, most importantly, serving as faculty member who truly cares about the education of his students." SUNY further noted Stehman brings "a quiet passion to his courses and is able to impart complex theories and knowledge in his field of study, statistics." Stehman's scholarship is well-respected by his peers nationally and globally. His statistical sampling work has been ground-breaking. He is generous with his ideas and shares credit willingly with colleagues and students. Yet, his interactions with students give him the greatest pride - he is a teacher, first and foremost. 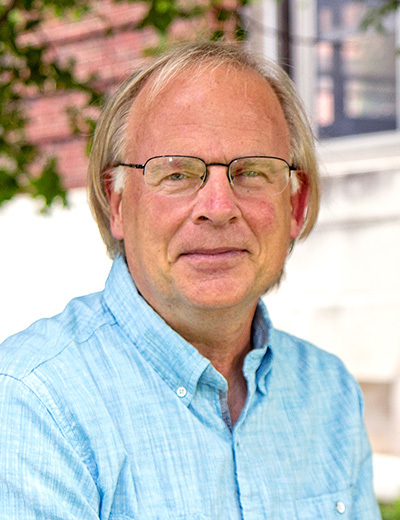 Stehman has been previously recognized with many teaching awards, including the Undergraduate Student Association Distinguished Teaching Award, Foundation Award for Distinguished Achievement in Teaching, and the Chancellor's Award for Excellence in Teaching. All distinguished faculty in active service within SUNY are also members of the SUNY Distinguished Academy. "The SUNY distinguished faculty bring our students the best SUNY has to offer - quality teaching and instruction, innovative research opportunities, and engaging community service," said SUNY Chancellor Nancy L. Zimpher. "We are proud to recognize the leadership and academic excellence of our distinguished faculty and the positive impact they have on students and campuses as well as communities here in New York and around the globe. Many thanks and congratulations to this most recent class of distinguished faculty."